Hailed as a means to transform cultural norms and change lives, violence prevention programs signal a slow-rolling policy revolution that has reached nearly two-thirds of young people in the United States today. Max A. Greenberg takes us inside the booming market for programming and onto the asphalt campuses of Los Angeles where these programs are implemented, many just one hour a week for 12 weeks. He spotlights how these ephemeral programs, built on troves of risk data, are disconnected from the lived experiences of the young people they were created to support. Going beyond the narrow stories told about at-risk youth through data and in policy, Greenberg sketches a vivid portrait of young men and women coming of age and forming relationships in a world of abiding harm and fleeting, fragmented support. 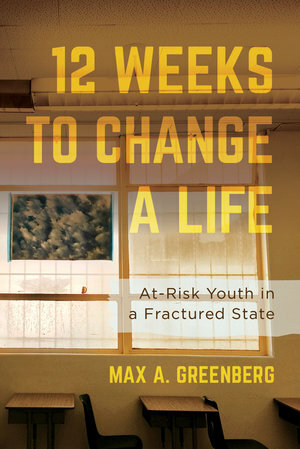 At the same time, Greenberg maps the minefield of historical and structural inequalities that program facilitators must navigate to build meaningful connections with the youth they serve. Taken together, these programs shape the stories and politics of a generation and reveal how social policy can go wrong when it ignores the lives of young people. Max A. Greenberg is Lecturer in the Department of Sociology at Boston University. He is the coauthor of Some Men: Feminist Allies and the Movement to End Violence against Women. "This is a beautifully written book: its prose is engaging, crisp, and distinctive. Greenberg has a unique voice that he uses well, drawing out sociological insights while reflecting on his own position in the field. He also does an excellent job combining abstraction with ethnographic observation. All very, very impressive." —Lynne Haney, Professor of Sociology, New York University. "Informed by three years of ethnographic observations in Los Angeles, this book provides a careful investigation of the deeper messages that violence-prevention programming deliver to youth. Insightful, intriguing, and at times lyrical, Greenberg documents what he calls 'the ephemeral state,' which requires that facilitators learn tricks to establish connections quickly before their programs end, and encourages students to stifle or revamp their own personal stories to avoid getting ensnared by institutional surveillance or discipline." —Allison Pugh, Professor of Sociology, University of Virginia.